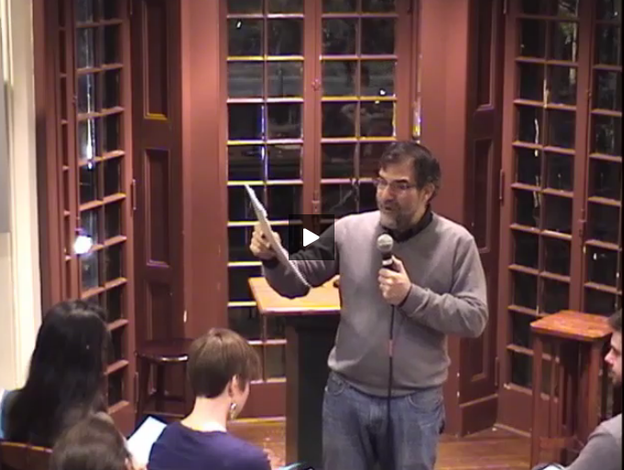 31-minute video of collaborative close reading of "The Snow Man"
Click here to watch me lead a collaborative close reading of Wallace Stevens's "The Snow Man" at the annual "Mind of Winter" event at the Kelly Writers House. An audio recording of the session is available here. watch as I teach Wallace Stevens's "The Snow Man"